The WhoIs registar does not provide the PUBLIC with the name of the owner(s). The physical address listed is a mail drop in Las Vegas, NV. The trademark application filed November 26, 2007 list Albert Ahdoot as CEO. We can assure you most of these colocation websites are own by a very few group of individuals who lease data storage space from Digital Realty Trust. Colocation America is own and operated by one Albert Ahdoot aka Albert A. Ahdoot a professional spammer who at one time operated Net Global Marketing a firm accused of running a SPAM operation by Earthlink and his business partners listed below. Arman Khalili is currently the Founder, CEO and co-owner. According to his sleazeball Attorney Paul S. Sigelman of Sigelman Law or Paul Sigelman Law Firm, Albert Ahdoot is not the owner filed with Godaddy, the domain registar. He has since rescinded his assertion that Albert Ahdoot is not the owner in other pleadings. scamFRAUDalert hosting experienced with this individual dba Colocation America was nothing more than a complete disaster. 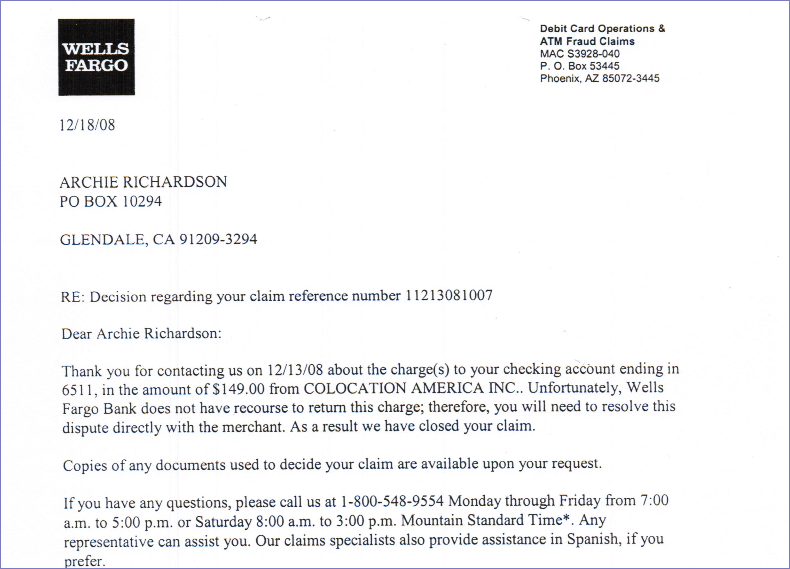 Two bogus lawsuits were filed against scamFRAUDalert. Albert Ahdoot also goes by Albert Arash Ahdoot. He is the Founder/CEO/OWNER of Colocation America Corporation. A registered Nevada Corporation with it’s primary place of business Los Angeles, CA who lease data spaces from the downtown data centers and across USA. 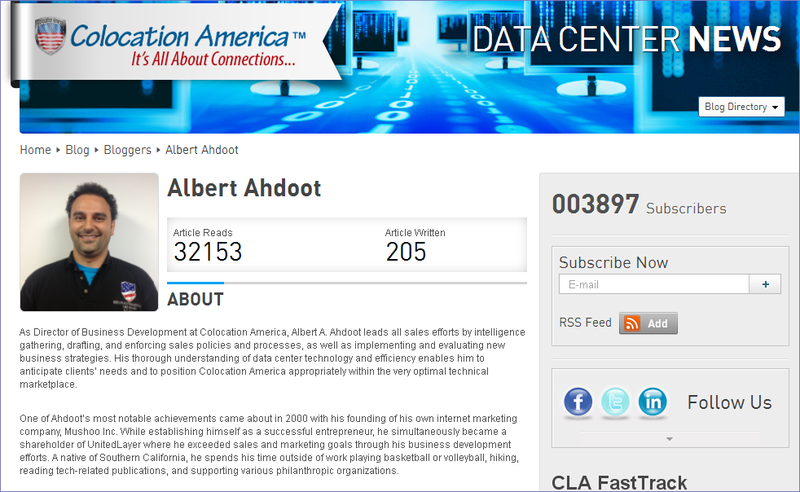 Mr. Ahdoot is a RESELLER of Colocation services as he lease rack space from Digital Realty Trust, Multacom.com, UnitedLayer, Above.com, Cogent Communication, Level 3 Communications and other ISP providers across continental USA and resells colocation spaces via his websites. Mr. Ahdoot and his sleazeball Attorney actively seek to remove any negative comments posted online about Mr. Albert Ahdoot business practices and his company Colocation America Corporation. The standard industry practice for e-commerce companies to silence critics is through the legal process, if unsuccessful, they deploy other means such as spammingDdos attacks, issuing bogus daily press releases or just outright smear campaigns. Since encountering Albert Ahdoot, our observation so far of Albert A. Ahdoot business practices dba Colocation America Corporation dba Colocation America, Inc. dba ColocationUSA, dba Los Angeles Colocations dba Colocation America,Los Angeles Data Centers, Colocation America Facebook, ColocationUSA Twitter, datacenterandcolocation.com, colocationAmerica – la.bbb.org is the spamming of search engines so as to limit negative comments posted online about Colocation America and Mr. Ahdoot from appearing on page one of search results. In summary, Albert Ahdoot engages in questionable business practice and is not trustworthy. breakdown in their supply chain shipment of fake Avastin. From what we’ve seen this is a legitimate company doing business in Canada so you can recoup your money. Our guess is that some affiliate is to be blame if such exists. Contact them. To make a long story short, my optometrist told me I have glaucoma and has had me on eye drops for awhile now. He started me on Xalatan and since that’s so expensive he put me on Latanoprost. I am very low income, so it’s hard for me to afford any medication. The last time I went to my eye doc. he made out a script for this medicine and I had been looking online for a pharmacy for cheap medicines. 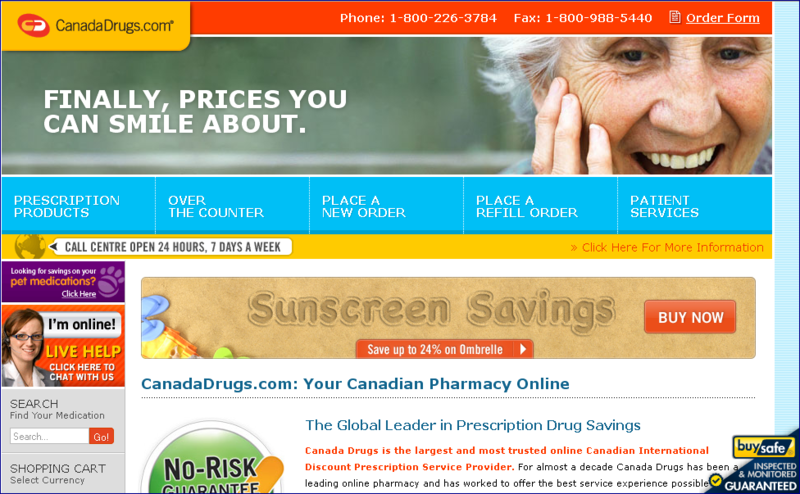 I found this Canadadrugs.com and looked at the prices, looked at the reviews for it and decided to order from them. I printed out the online order papers for this and sent in the order, the original prescription and the money for 5 bottles like my doctor had on the script. Here is the problem. I sent in money for all 5 bottles, and I have received 4 of them and have one left to get. So I called to get the refill only to be told I had a few dollars credit on my account. I told them over and over I paid for 5 and have only got 5. They kept telling me they sent me the 4 and that so much had been deducted from the money i sent and that they could send me my 5th one for extra money and to add to that a new script. I talked to 2 people from there and they both told me the same thing. Now they wanted me to send them in money for which they said they would give me a 10% discount? I told them they were a rip off because I paid for 5 but i would still have to pay for the 5th one? Needless to say, I told them I would be reporting them to whoever I could and all I could that they are just big ripoffs. Attorney Richard Morse and sleazeball Paul Sigelman representing Albert A. Ahdoot dba Colocation America Corporation, Colocation America, Inc., Colocation America, Colocation America now Collocation America or Colocation America USA a CAREER SPAMMER send scamFRAUDalert a threaten letter. Sleazeball Attorney Paul S. Sigelman of Sigelman Law aka SIGELMAN LAW whose’s notoriety for fixing cases has handlers in the Court house to see lawsuits filed by his firm get to the right JUDGES. This sleazeball Attorney continues to file frivolous lawsuit with total disregard for the law and LIE ON APPEAL. Paul Sigelman is a disgrace to the legal profession and should be disbar. Your DDOS attack (http://en.wikipedia.org/wiki/Denial-of-service_attack) which caused Colocation America, Multacom and Cogent Communications to go down for more than an hour, cost the three companies over $250K in revenue due to their lines being SHUT OFF! You are liable for this. This is in direct violation of your AUP http://colocationamerica.com/aup.htm as clearly stated in your contract. I am being provided receipts from every customer who has to be refunded. You are in breach of your 1 year contract where he owes us the remainder of it. You and scamFRAUDalert.com must immediately stand down in your postings. They must be taken down now. THE INDUSTRY PRACTICES is refer to as Standard Level Agreement (SLA) Mr. ALBERT ARASH AHDOOT or Albert A. Ahdoot dba Colocation America aka Colocation America, Inc. aka Colocation America Corporation refer to SLA as Legal Agreement A clue for what you are up against. Colocation America Corporation dba Collocation America dba Colocation America.net dba ColocationUSA a Multacom.com Partner of downtown Los Angeles, California is part of network of organized IT professionals whose BUSINESS PRACTICES are SUSPECT. This group have been identified as having association to the Russian Business Network. Between January 27 – 30, 2009 we experienced massive DDoS attacks as we normally do. 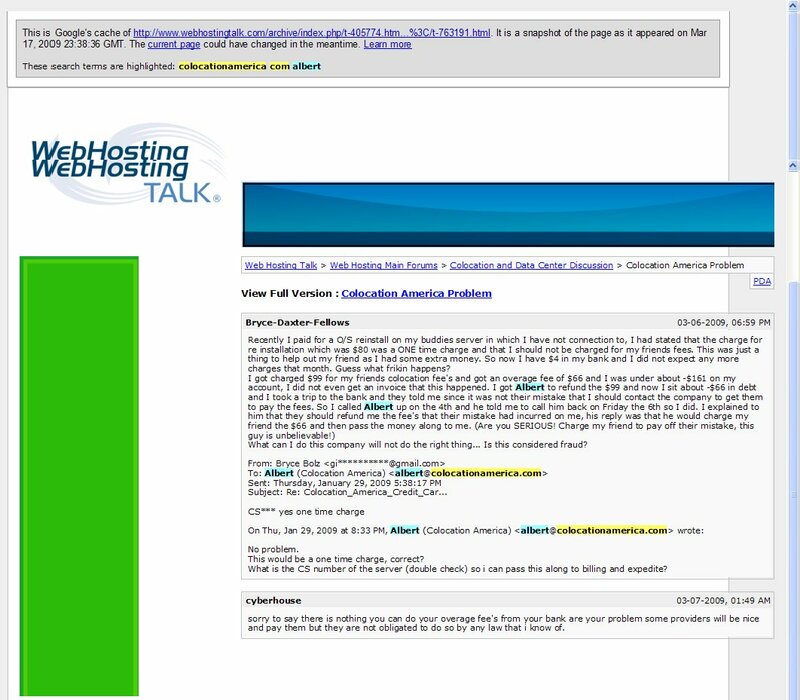 On 01/30/09 Mr. Ahdoot informed me that he had null routed (turned off server that hosted my website – scamFRAUDalert because of the DDoS attacks. 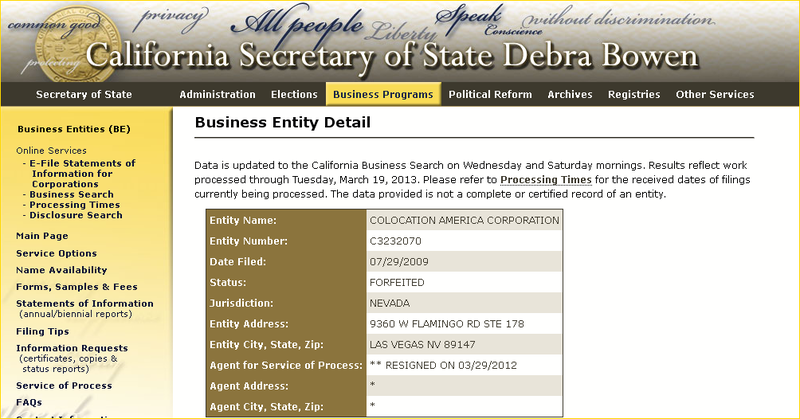 Mr. Ahdoot and his company Colocation America Corp. have a REPUTATION OF BEING SUED and MANUFACTURING LAWSUITS against OTHERS by his Attorney Paul S. Sigelman The Self-Anointed Perry Mason Defense Attorney of Paul S. Sigelman Law Firm or sigelmanlaw.com of Beverly Hills. Taxback.com is a rip off never use this company…. ……..THEY DID NOT QUOTE THIS ON THERE WEBSITE……!!!!!!!! …………..STRANGE THAT WEN WE WORKED AT THE SAME PLACES FOR THE SAME TIME……. I asked to speak with the manager but they always say the same thing that …..you were an Australian resident and have to pay that by law……..so why haven’t my family payed that………………. Albert Ahdoot a/k/a Albert A. Ahdoot of Net Global Marketing now d/b/a Colocation America Corporation/ColocationUSA/Multacom.com, UnitedLayer, Cognet, and other hosting companies reseller of colocation services.